More to come in due course, only about half an army done so far. Clementia and Gebrovia were always at daggers drawn, and any excuse could have turned such petty nations against one another, as it was the attempted looting of Gebrovian army pay was enough to ignite reprisals along the border. An order came down from the Ducal leadership, to the effect that high ground on the Border outlying Ungray Pliskie must be seized to allow for watch towers to be constructed. Forts in this otherwise informally controlled land would allow the protection of Gebrovian interests, or so the argument went. But it would come as no surprise that the Clementian forces in the region would disagree. Gebrovian patrols had already caused alarm in the Clementine speaking farmsteads of the area, but the humble farmers would soon have more to concern them when Junior Lt. Izgnatia Plostnoy arrived with a company of infantry and a squadron of horse. This was enough to alarm the regional Clementian command into action and they moved a local garrison to the same region. Izgnatia took command of a couple of dozen horsemen, whilst a hundred or so infantry advanced through the woodland on the border, into fields traditionally part of the enemy's land. Their goal ahead was the heights of Mostchern Hill, a rocky and defensible peak usually home only to hardy sheep. The Clementines were prepared with a company sized force of their own, Plus two of the Battalion guns from their local garrison. However their commander did not yet have a sense of the Gebrovian intentions. A notorious drunkard, Izgnatia neglected planning, and his orders were vague at best, rushing forwards in a sense of hubris, he and his cavalry set off the the right of the hill, whilst his infantry muddled their way forward. An advance in the dawn light over difficult terrain made things no easier. 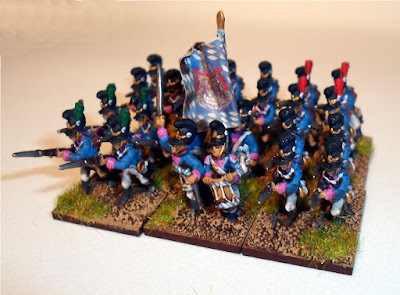 Early errors saw a platoon of Skoe Brana foot fire on their light platoon, clothed as it was in new blue coats, intended to better hide a soldier in shade and cover. Instead the blue drew fire until the mistake was realised. All seemed like disaster at this stage as a clearly intoxicated Izgnatia roared charge on sighting an enemy gun, and led the Gebrovian cavalry off the slaughter. Several men were killed and the commander wounded by a mix of cannon and musket fire. 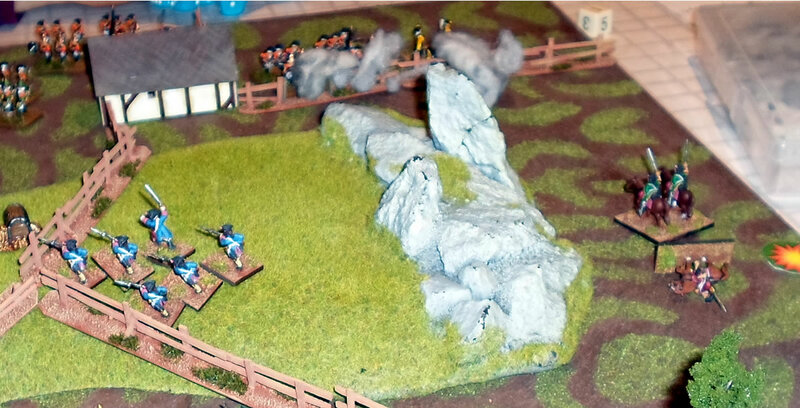 The cavalry were scattered, but under cover of the attention this failure drew, Light troops of Skoe Brana made the heights, whilst a platoon of fusiliers secured the farm to the left of the hill. The Clementines advanced too, in no small part hoping to bring their guns to bear on the hill. Formed troops of the Skoe Brana regiment gained the hill first however and a fierce firefight ensued. The Gebrovians made the best of the height and pushed back both the main attack, and the flank supports. However the Clementines remained determined, and were stiffened by the arrival of a cavalry reserve from one of their horse grenadier regiments. 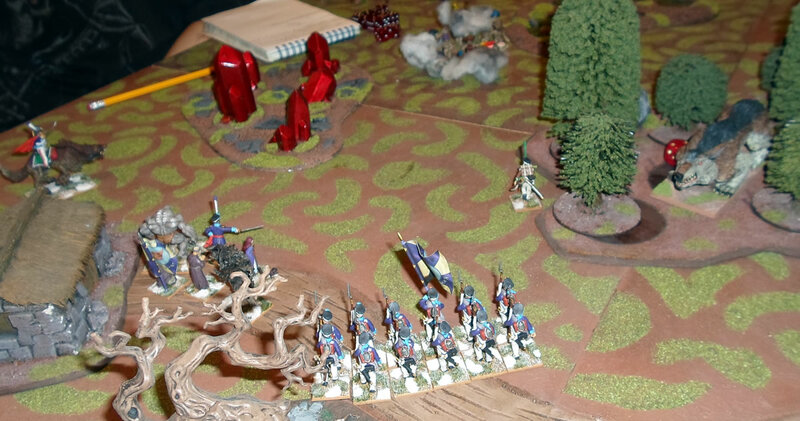 The cavalry pushed up the hill, supported by the remaining platoon of fresh Clementine fusiliers. But luck was not on their side, and well coordinated fire from the Skoe regiment stopped them all in their tracks. Clementine troops suffered loss after loss trying to take the hill, and soon their troops were in general retreat. Bravery had exhausted them. By the time the sun was blazing above the hill, Gebrovians had already begun to work on earthworks. Their losses amounted to around twenty men, in what was a hard fought engagement, but the adjutant on hand counted no less than thirty Clementine dead, wounded and captives, most taken on the heights of Mostchern itself. Despite his lack of tactical sense and discipline, somehow Plostnoy's men had carried the day without him, and the honour of the day would find its way to his name. 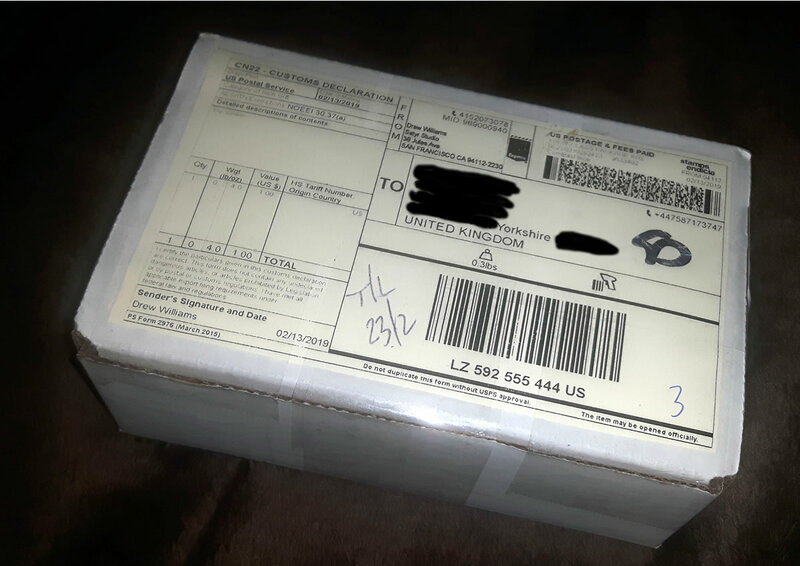 Once again the reputation of of Gebrovian men in close action had been upheld. However, it could be sure the Clementines would not allow this flagrant transgression to stand. This was the second engagement in mine and James' Imagi-nation campaign. For which this served as our test of Rebels and Patriots. The rules seem ideally suited to small narrative campaigns representing company to battalion sized forces, with a functionally relevant officer career system. We played the first named scenario from the rules and it provided a nice primer, though our model of Mostchern Hill rather restricted the flow of battle. 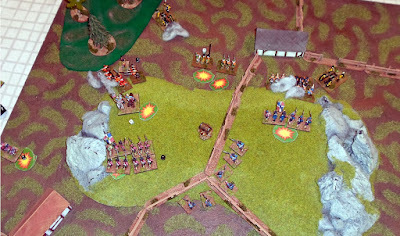 As you can probably see we played in 15mm using multi-based troops, neither of which proved a problem; all measurements were simply halved. Hopefully we'll be able to carry this on soon. 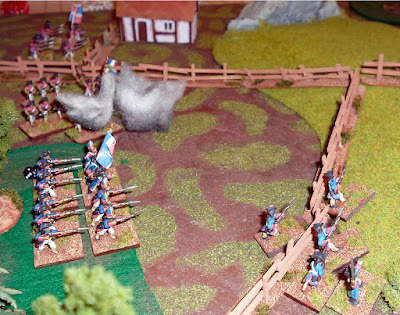 Among other projects, I'm using Rebels and Patriots to motivate me to return to the War of 1812 miniatures I first started almost a decade ago. 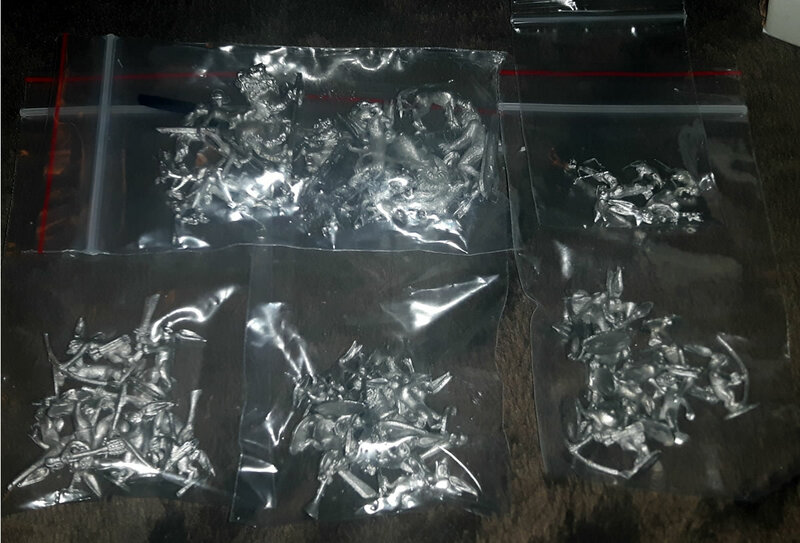 I've already done some painting which I'll get photo's of up shortly, but last night I whiled away three hours working on a troop of Ohio Militia, based on the Perry Miniatures AWI American rifleman sprue. 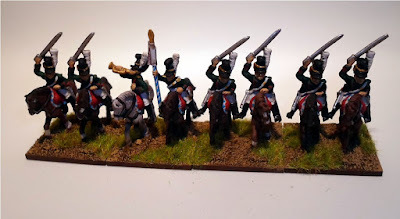 I modified them firstly by using a handful of Victrix and Perry Napoleonic parts to create an officer, drummer and a couple of different weapon poses. The main task then was to modify the heads and hats. One of the two poses has a queue in the hair, which I trimmed away, being out of fashion by the nineteenth century. Then using the supplied round hats as a base I modeled tall hats in Greenstuff. The fashion of the time was for something approaching a top hat, but most illustrations show it somewhat disheveled. This is not a surprise given these objects being made of felt and sometimes even just coloured card and cloth, would not hold their shape well in wild weather. I can imagine a soldier's hat suffering greatly in a Canadian winter! The plus side of that is that I didn't need to be too perfect with the sculpting. Honestly I don't know how the pro's manage it, I'm doing well the blend stuff in and make passable folds in cloth or straps. That's the limit of my Greenstuff skills. 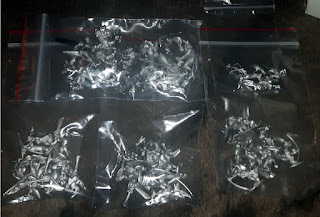 Still these look the part, and cost only 75p a miniature to assemble; and I can move them straight to the painting tray now, as all other projects have neatly concluded. 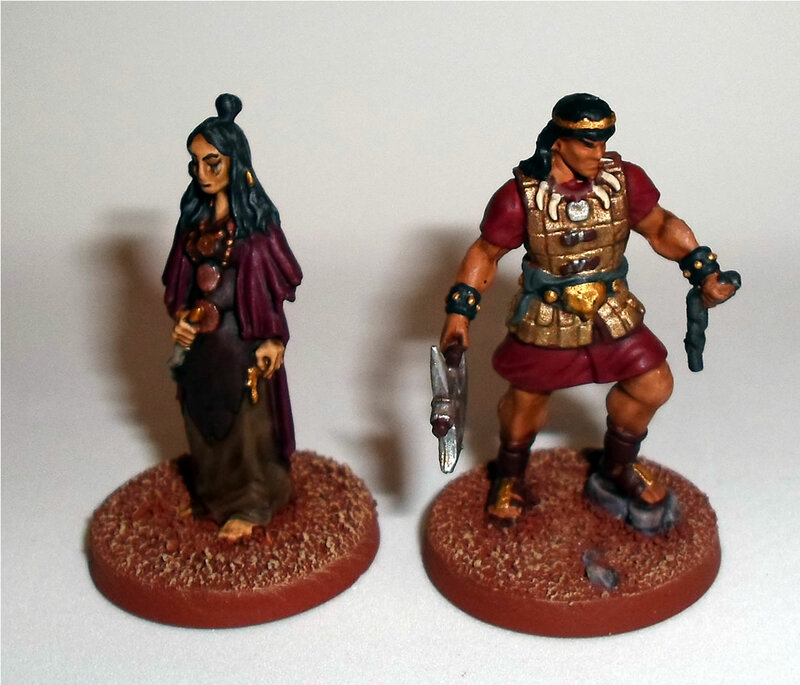 So alongside the Star Wars models, I've worked on a few Conan miniatures. The first two having sat on my painting tray, for some 18 months. Zelata the Hag and King Conan for starters, then as they were super easy to do, I added another five Bossonian guards to the painted pile. I'm not sure what to do next with these, I haven't actually played the game in a while, but there are a lot of characters and major NPCs to paint yet. Over the last few weeks I've assembled a modest haul of Imperial Assault mini's, at decent prices to boot. 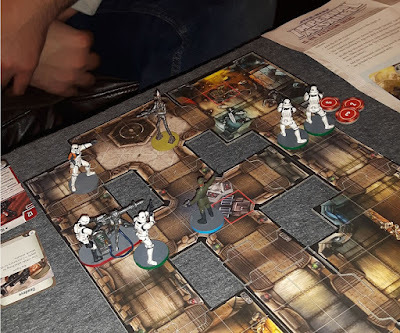 I've been enjoying putting the game back on the table of late in Skirmish mode, but felt that some additional troops wouldn't hurt, particularly for the Rebels, and Mercenary faction. With, I suspect this game gradually sliding into hibernation, it was possible to pick these up at 25-50% off. Fantasy Flight seems to be throwing its' weight behind the Legions mass battle version, with its over-sized miniatures (bigatures?). 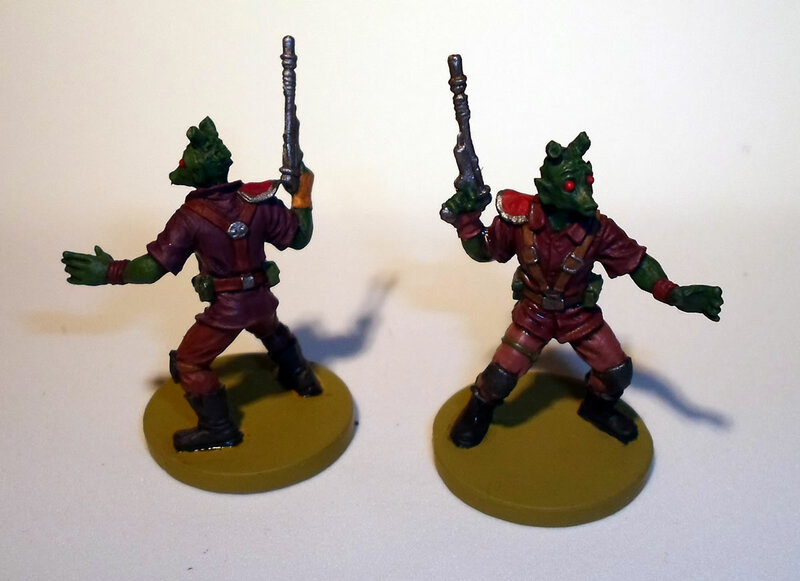 Dengar, another merc will be off the paint table soon, then I can try to match the uniforms of some previous models. Always a fun task! 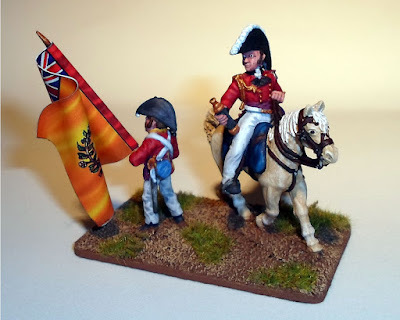 "Sir James Kempt (1764-1854) served as a major-general on Wellington's staff in Spain and France between 1811 and 1814 and was wounded at Badajoz. He commanded the 8th Brigade at the Battle of Quatre Bras under Sir Thomas Picton. Kempt took over the 5th Division during the Battle of Waterloo when Picton was killed in action." This is the latest of my generals for the Peninsular War, and is a combination of a Front Rank mounted commander and an old Essex Ensign I had spare. 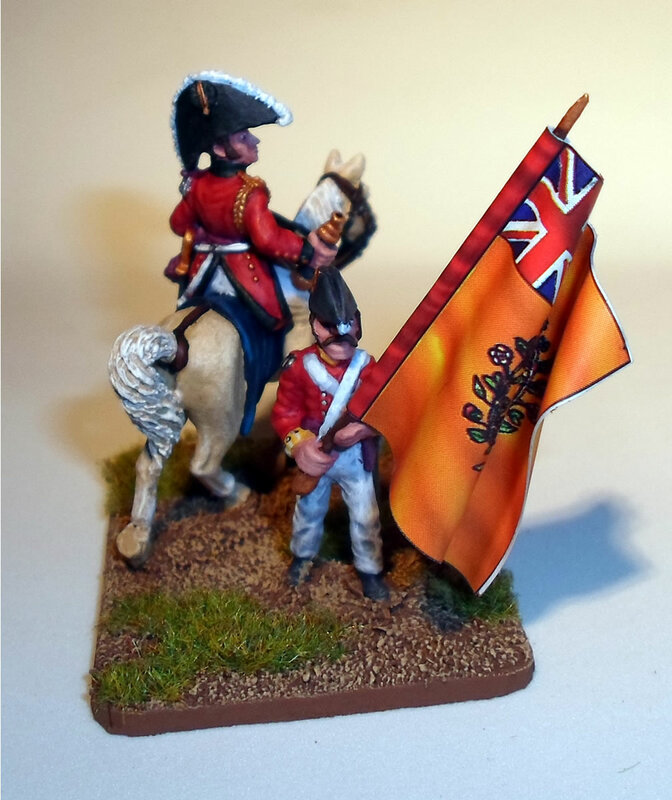 The standard was a printed one I'd also received as part of a job lot and so it is not a precise match for any unit Kempt specifically commanded. 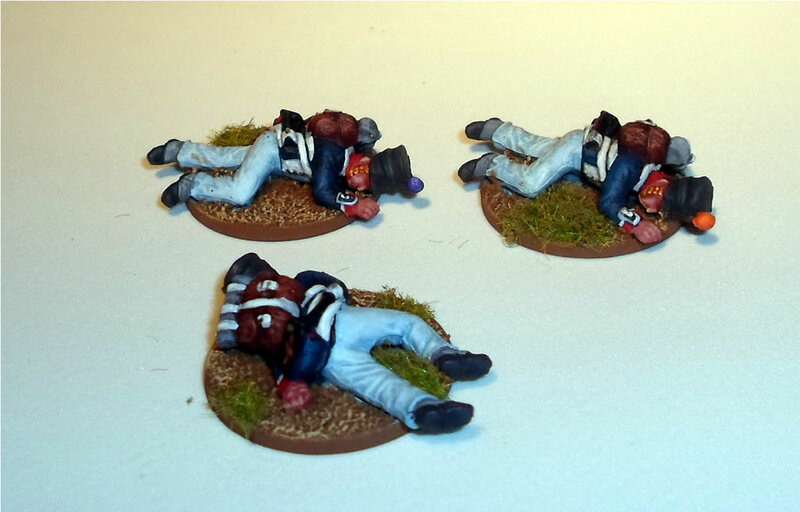 I also was able to knock up a small number of French casualty markers. One of which we've seen before! That gives me a half dozen casualty markers for each side, enough for Broken tokens in most games. A little bit of progress is always good. 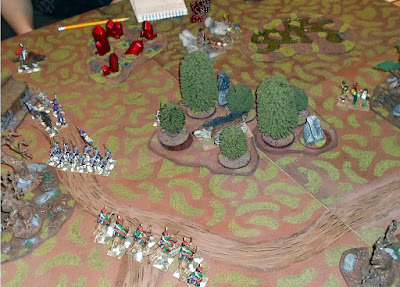 Myself and Matt got a game of Dragon Rampant in a few weeks ago, and it was the first outing for my Bodurian Pseudo-Napoleonic force. 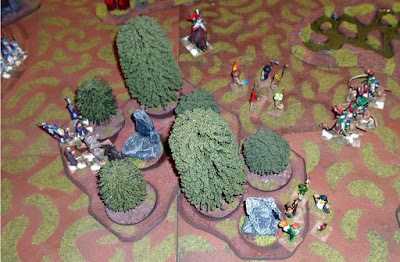 Matt, for his part, used his developing forest folk army. 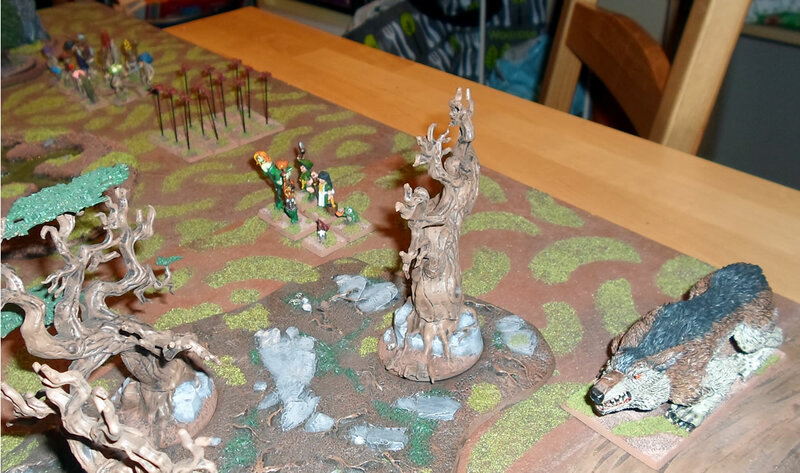 On this occasion incorporating 'Bellicose foot' in the form of bat-like stirges, Mushroom Men light foot, and a Greater Warbeast giant wolf. 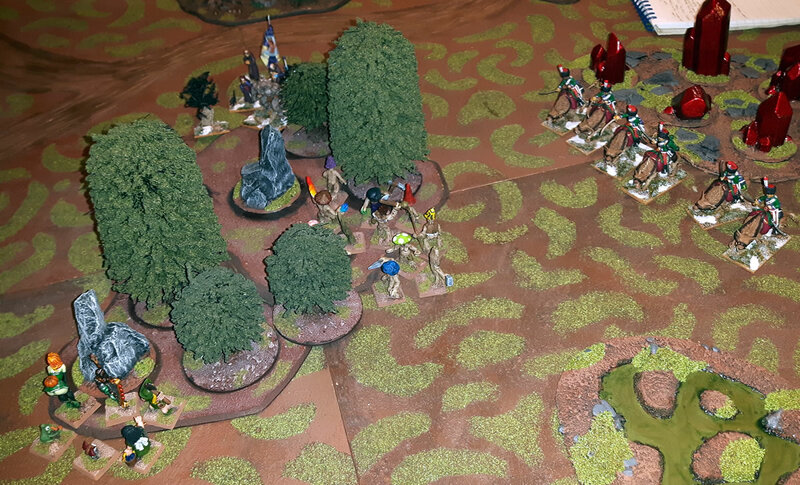 I fielded my available 24 points, including Heavy Riders, Elite Riders, Heavy Shooters, Skirmishers, and Elite Foot with a Wizardling. 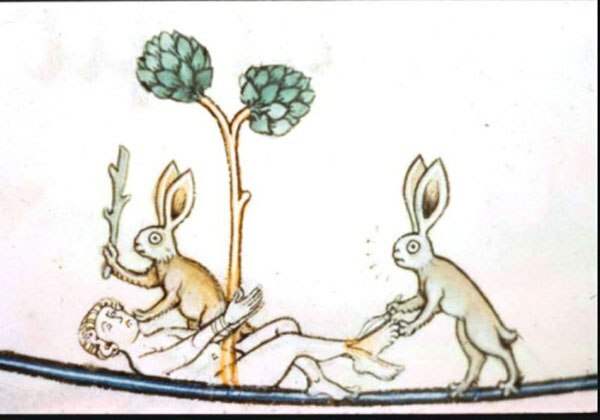 So battle was joined, as the Bodurians advanced into the forested glades. Initially the engagement went well for Boduria, with the Stirges rashly approaching on their tiny wings and soon being shot away. 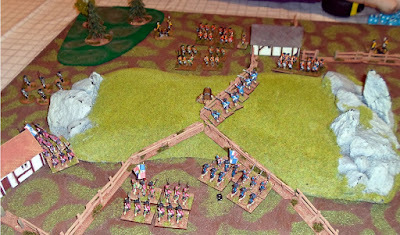 Our leaders showed little sign of taking too active a part in the battle at this stage however, whilst our cavalry was driven back by the advance of Matts' giant wolf. 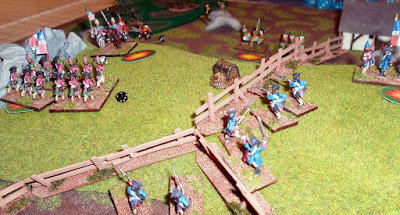 Fortunately the 360 degree view of troops allowed my ranked up musketeers to keep the wolf at bay. At about this stage I discovered that one of my Wizardlings' spells was actually far more use than I thought. I started using Dragons' Breath to screen enemy units, so that they couldn't target my advance. This made the missile armed Mushroom Men largely impotent and allowed me to advance safely on the centre and left. Gradually the Forest folk were whittled down. 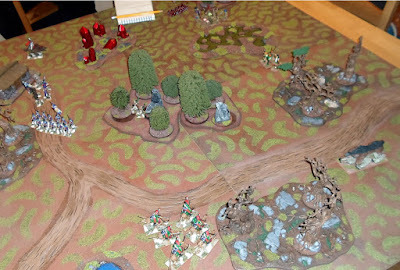 In combat terms luck was not going Matt's way, with several turns ending with either only one unit activating, or none at all. Also in combat even with the odds in his favour the forest folk rarely achieved more than one wound. And the less said of my fortunate rallying rolls the better! However, Matt had at least selected the right Boasts for his force, and was managing to ride his fortune in that area. 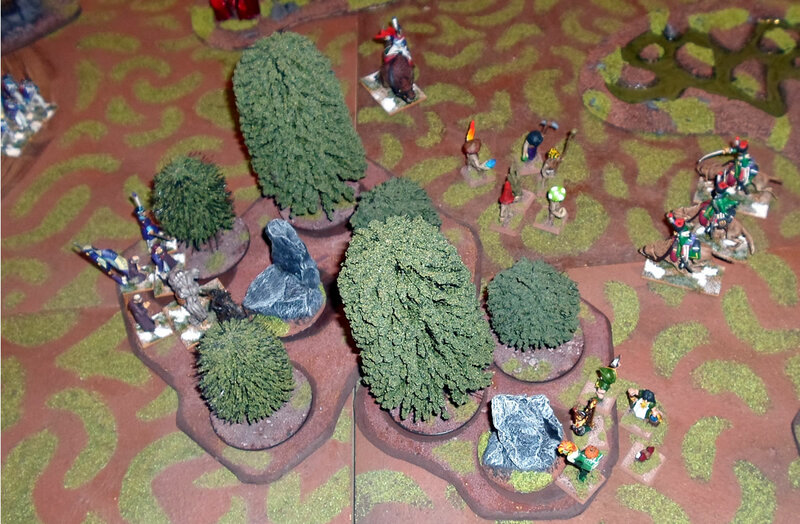 Nevertheless the game ended with only a couple of the forest folks' Wizardling unit left on the field. 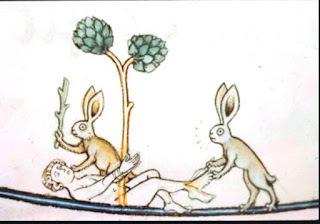 All others having been slain or having fled. 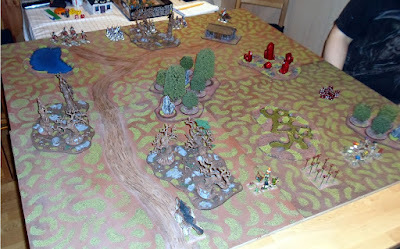 For my part it was a thrashing on the table for my opponent, but as ever, I had failed to get anywhere with my own boasts, and in the end I technically lost the game by a couple of points. The story of the battle would suffer terrible spin at the hands of the Elven propagandists, as my last ditch efforts to capture them came to naught. 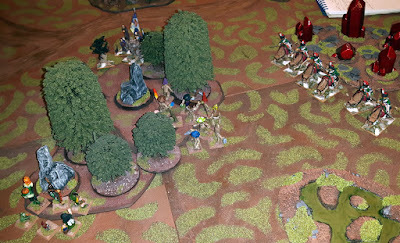 But for an army making its on table debut, this was still a pretty impressive result; no 'curse of the new models' here. The problem I think we encounter with this game, perennially, is over ambition. With five players, we had ten cars in a race to the finish. And this meant a couple of things. Firstly the start was chaos. With that many cars trying to negotiate a start accidents and attacks were almost immediate. 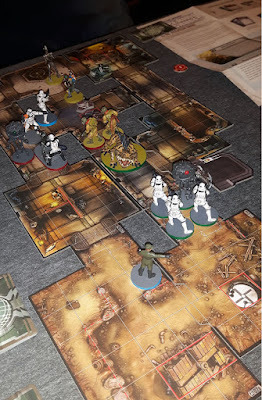 And secondly, we had virtually no chance of finishing; both because of the combative chaos, and the sheer number of different turns to be resolved. 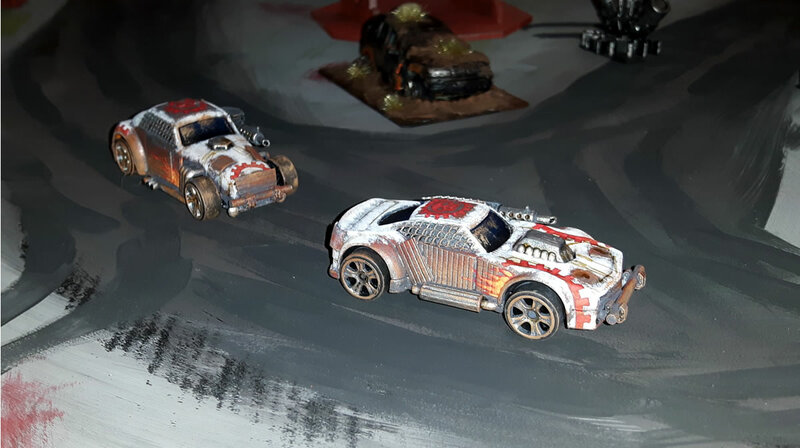 I feel I'd like to try the game with just two or three players, or with only one car each. 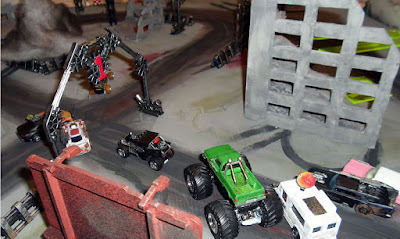 With more than six or so vehicles it feels like there are simply too many moving parts to complete a game. I mean I like it somewhat, but I don't feel I'm getting a real experience as intended from it yet. 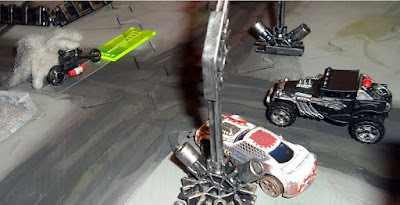 Nevertheless the game provided some priceless moments, not least the destruction of the runaway leader, in sight of the finish, by a burning hulk that crashed clean across the centre of the circuit into the leaders side. But in some ways this is exactly what makes the multiplayer games unmanageable! 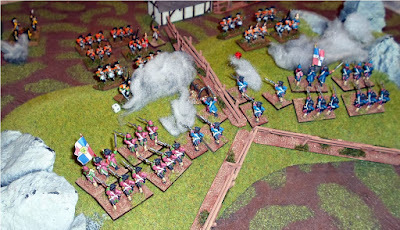 Okay, so it's a big day at TML towers, as I've played the latest iteration of the 'Rampant' game engine, Michael Leck's (with Dan Mersey) 'Rebels and Patriots'. The hot take, R&P takes the Rampant Engine and makes it work for the 18th & 19th century, it also fixes many of the things that people who disliked the previous iterations hated, but it naturally lacks the sheer variety of the Fantasy version. 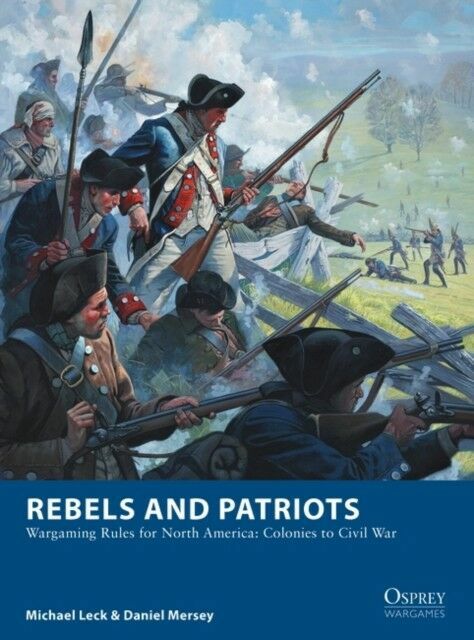 Rebels and Patriots is a set of rules for black powder warfare in North America, roughly the period 1750-1870. Like all the Osprey rule systems, R&P is pretty short, and like the various iterations of 'Rampant' before it, rather straightforward. 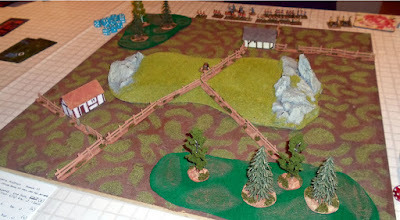 The battle rules themselves run to only 16 pages of the 64 in the book, but this is to discount the various key elements of the game subsumed to the officer, unit and scenario rules. 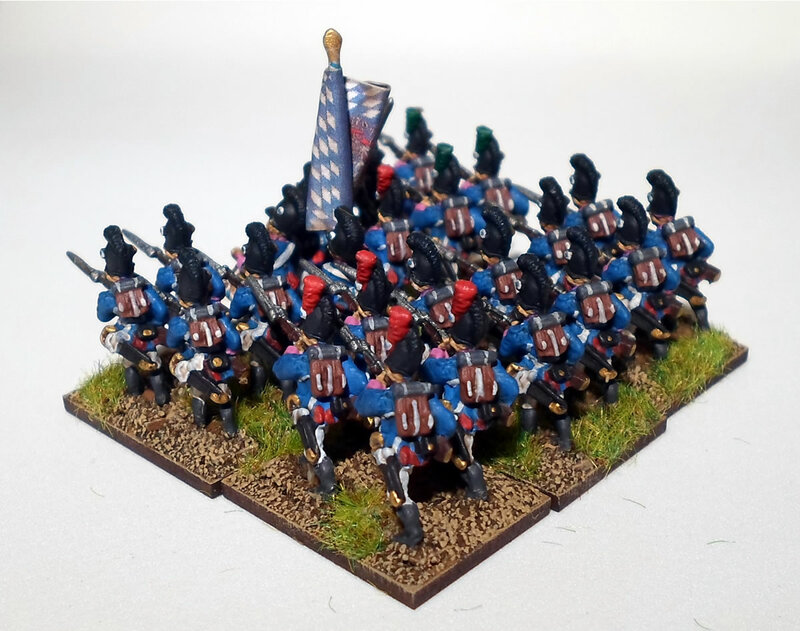 For those unfamiliar with the previous versions of these rules, they run at a large skirmish scale, without detail to an individual soldier level, except for the commander, but with units being in groups of 6, 12 or 18 men. It is an Igo-Ugo system of alternate turns, everything is measured in inches, and everything in D6's with units generally rolling fixed numbers of dice regardless of individual losses. If this sounds overly simplistic, do not fear, there is enough nuance to the rules to make it interesting. Units are activated individually, requiring a modified roll of 6+ on 2D6 to carry out the desired action, which include moving, firing, Skirmishing, Attacking (engaging in melee), and rallying. Disorder, caused by casualties and other negative situations. If a unit fails to activate - unlike previous versions - you move on to another unit until all have received an order to attempt. Leck, clearly believes the 18th & 19th century soldier was better drilled than his medieval forefathers. All forms of combat boil down typically to rolling 12 or 6 (occasionally 3) D6, typically needing 5's or 6's to hit. Two hits cause a casualty at short range and you add one to the number of hits required to modify for adverse factors. In melee, both sides roll, and special reactions like evasion can apply. Overall commanding troops on the table is easy and fluid, and handles the particularly American contexts of regular, militia and native forces operating together, well. Morale is handled based on immediate losses from fire, not total accrued losses, therefore casualties could be seen as representative rather than literal, but the clever disorder mechanic is what really makes it tick. A unit with one disorder token can continue to act but at some disadvantage, including essentially -1 to all rolls; a unit with two disorder tokens is considered Broken and is likely to retreat a lot until rallied; which is made harder thanks to the -2 to morale/rallying rolls this will apply. On your third disorder token you rout and quit the field entirely. The mechanics therefore are straightforward enough, units essentially operate as blobs, with 360 degree lines of sight, movement is simple enough and the commanders offer little initial benefit. But the details really make the game. 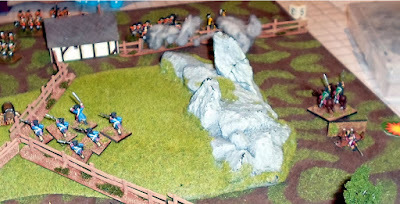 You would expect troops of the period to be drilled, and so Close Order (an advanced version of the old 'Shield Wall' rule, in previous books) reflects this, troop types then go a long way to bring to life the period. 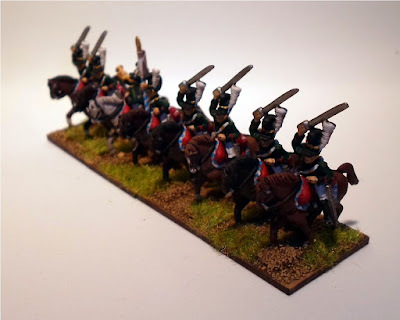 Line infantry may present dense walls of fire, Light infantry can utilise ground better, Shock infantry reflect Grenadiers with their improved aggression, and so on. 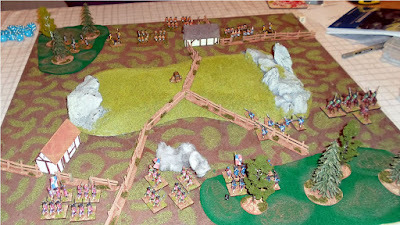 The rules also cover cavalry and artillery, and also - key to the region represented - native troops. To do this it has stretched the core of the Rampant engine, but also made numerous changes (some may well say, accurately, improvements). There is also some streamlining, but it works well. This therefore allows room for a campaign system, based on the career of your commanding officer. 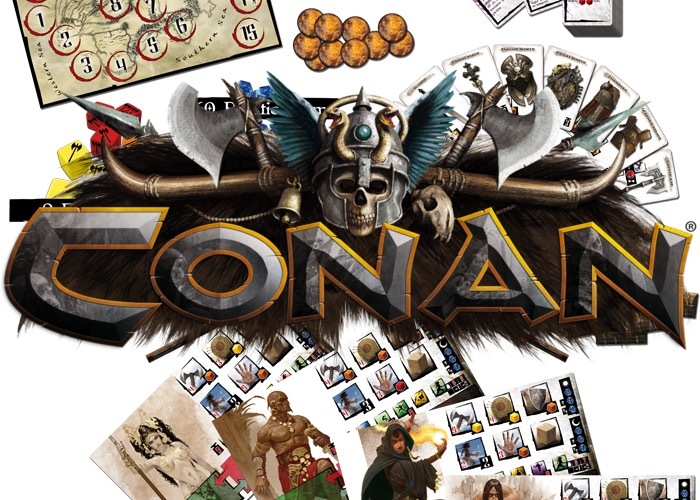 This has the potential, along with the scenario section of the book, to be almost universally useful, regardless of whether you play the rules themselves. You create a commander very simply and they begin with 10 Honour and a personality trait - one of 36 available. As you gather honour from engagements, your commander improves, or if you are unlucky, enters a reputational slump of epic proportions; but he will generally remain in command of your company, until death. Honour is one of the drivers of the scenarios, and is a development of the old Glory/Boast system. Gone is the lottery of assigning your own agenda to each battle and winning or losing based more on this than battlefield performance. Now each scenario has fixed objectives, and victory goes to he who achieves these. A pleasing 12 scenarios are offered (13 if you count, just beat each other up as a scenario). 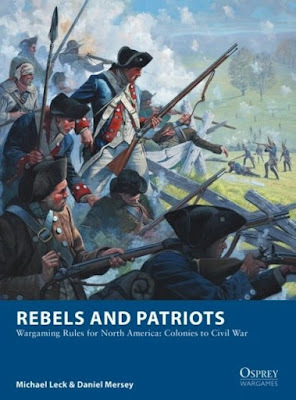 The final section of the rules gives a range of example companies and the briefest precis of various engagements in North (and Central) America, from 1754 to 1871, all very useful, and as a player of the War of 1812, interesting to see. But one obvious question would have to be, why only America? Well, in essence the answer seems to be IP infringement. Osprey's own! As Osprey already have skirmish and mass battle rules covering this period for the European wars, Rebels and Patriots has had to keep to a tight subject to remain distinct. But could it be used for other regions? First of all one perhaps should interject by asking are they any good at all? Well, in this writers opinion, yes they are. As with every version of the 'Rampant' system they evolve and develop in positive ways, building on the best of previous versions. At this stage I only have one actual play to go on, but that was most entertaining and they felt like they were a fair reflection of a general period feel. So back to the previous point, are they any use if you are more interested in Simon Bolivar, or Richard Sharpe? Absolutely. There is nothing to stop the rules being turned to South American or European conflicts, and there is probably enough to permit some colonial wars to be reflected (though I imagine Mersey's 'The Men Who Would Be Kings' may cover that bent more than satisfactorily). In conclusion then, I think Rebels and Patriots is a delightful little set of rules, and I expect I will personally get a lot of mileage out of them. They appear well suited to their key periods of the American War of Independence and the American Civil war, whilst ably covering all in-between. 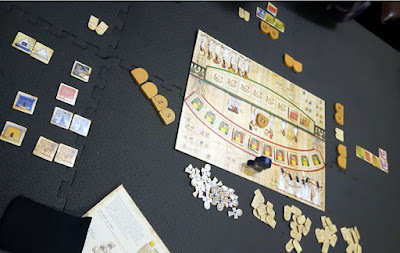 The rules are fast, simple and fun to play, with enough subtlety for a diverting and thoughtful evenings play. Overall it's a strong approve here. ...You fumble a miniature in the worst possible way! 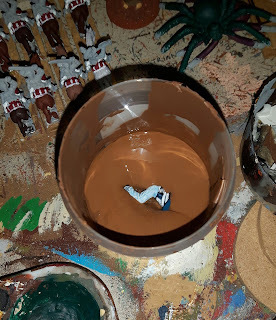 Thankfully this was only basing emulsion, and after a rinse under the hot tap Papillon here made an almost complete recovery. Still something of a worry. I must be getting clumsy in my dotage? I've managed to play a few board and card games so far this year. so a quick trot through some of them is in order. 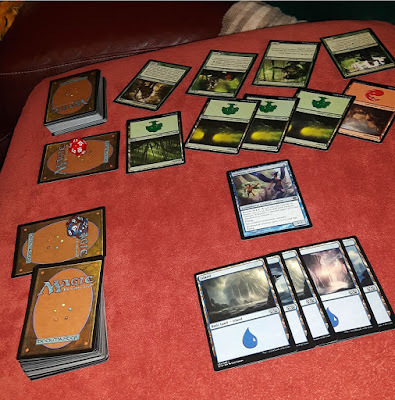 Firstly I've played a few games of Magic: The Gathering, including one with the significant other! I first played M:TG some 25 years ago, when it was a radically new game, and I still play on and off, though I didn't touch it for some twenty years. Compared to back then the game is both far more complex, and in my opinion at least, far fairer. 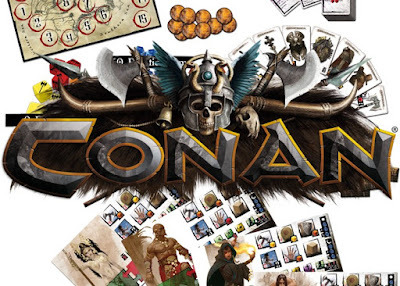 The sheer range of cards has levelled the playing field somewhat, at least for the casual players, and the prebuilt decks are at least capable of providing a fair challenge. Despite the potentially mind melting variety of cards and potential complexity, its a game I enjoy from time to time. But it may very well be simply that they have the most troops in a typical game. 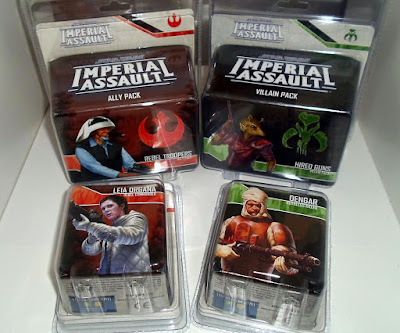 To this end I feel I need to pick up some more rank and file for the Rebellion and Mercenaries forces to even the odds. Priests of Ra is a Reiner Knizia classic, from his auction period; with players bidding to create the finest civilisation on the banks of the Nile. Players can push their luck to win auctions for the favours of the gods, but at the same time they can only do so by sacrificing their riches, and can only ever win four auctions per age. Over three ages the player compete for glory. It's a relatively simple concept but one that I find I enjoy. 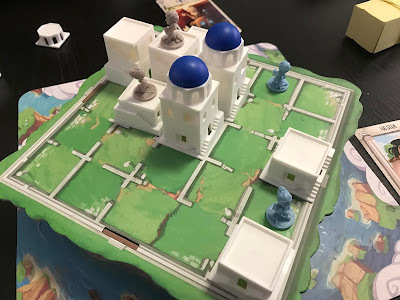 Santorini is a classically simple abstract game, with beautiful components (albeit a little pricey as a result) for 2 or 3 players. Rather like a three dimensional version of connect four, players vie against one another to build and then ascend to the top of a three storey building. The problem being that whenever you move you must build somewhere adjacently, and you have no exclusive rights to build or climb a tower. Also players can cap a three storey tower, with a dome. Thus making them unscaleable. 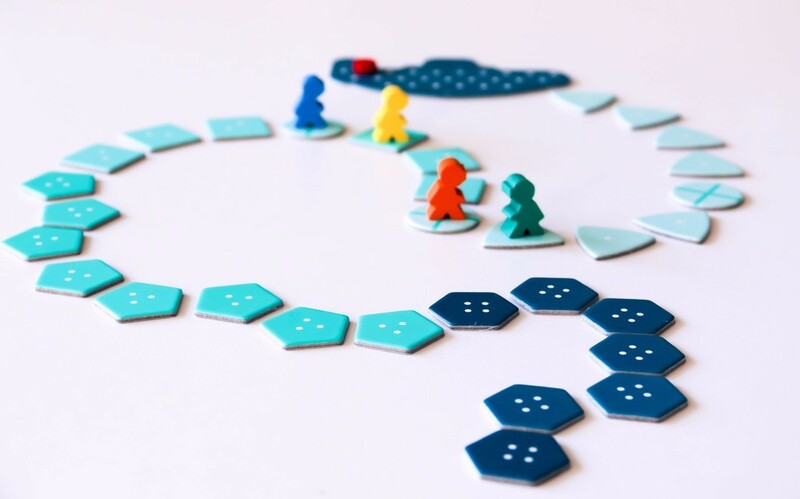 Such a simple game may not sound much, but it is really engrossing. Having played it five times in a row, I might well say that though! If you'd prefer a game of near suicidal sub-aqua exploration perhaps Deep Sea Adventure would be for you. It's the sort of game that you can teach the whole family in five minutes, and get lots of fun from. As you dive to the depths you attempt to discover and retrieve undersea treasures, but each players efforts impact all and soon the oxygen will run out; leaving any players who let hubris dictate they dive deeper and grab more gold in need of the kiss of life. Rarely does the first go at this game not end with every player sinking to the depths! 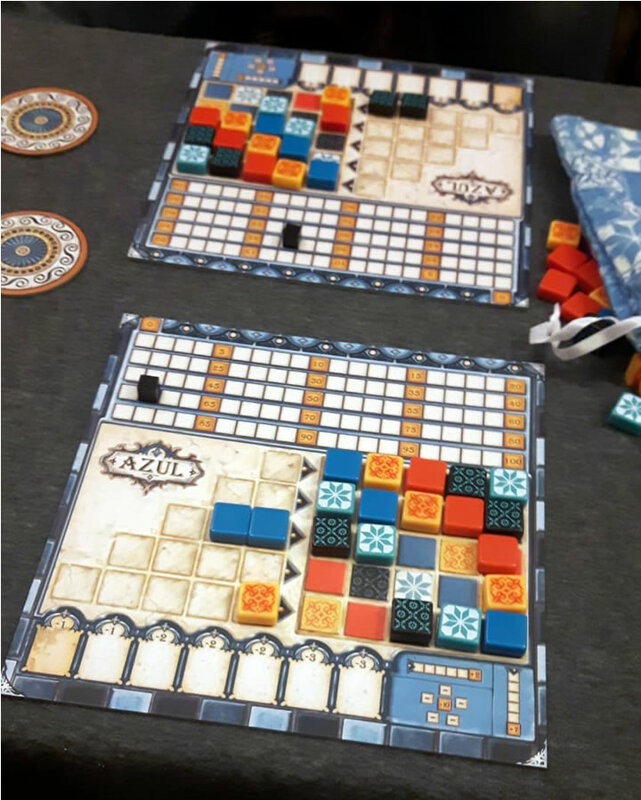 Lastly, some Azul, another abstract and one of my favourites. Another game with lovely components, and some simple to learn mechanics that as in the best abstracts, can be hard to master whilst allowing the novice a chance to still win. Board and Card games are always a nice break from miniatures for me, and certainly easier to arrange and transport. Plus easier to 'sell' to the unfamiliar. A nice relaxing social diversion for the modern geek-hipster. Is it timely I wonder? I just draw a line under one fantasy project - at least having enough to call an army - when something new arrives at my door. 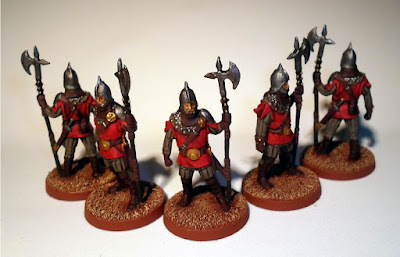 Not much to say on these, Warrior Miniatures, so the whole unit effectively cost under a fiver. This gives me 3 regiments of foot, so about one third of the infantry I think I'll want. 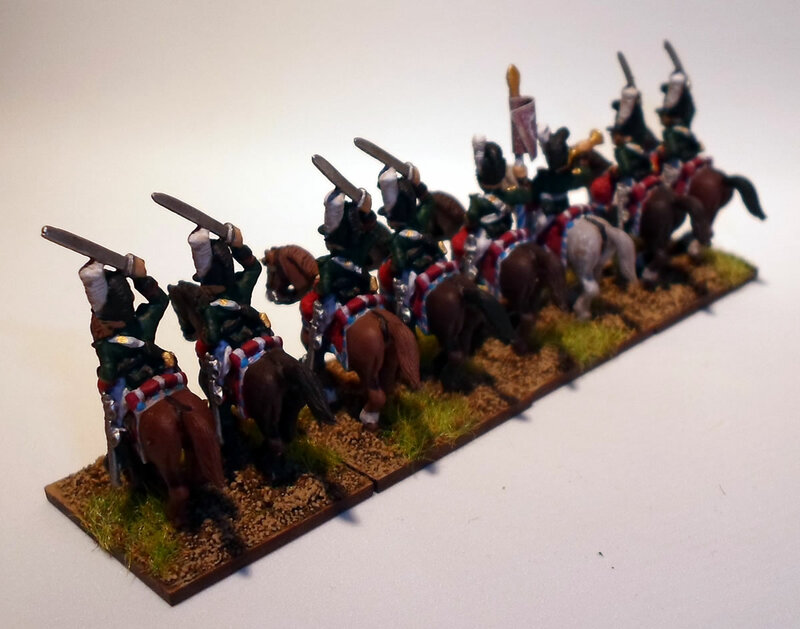 Next up might be some more cavalry. Perennial man-child attempting to forestall the aging process and rigours of real work by playing with toy soldiers.